United Nations Civil Society Briefing: Start Local, Go Global! Thursday, 14 February, 11 a.m. – 12:45 p.m.
Liberal legal systems can make economic life predictable, but have a spottier track record protecting the interests of those who lack economic power. Heading into the 2020 political cycle, what role do (or could) US institutions play in aggravating or lessening economic liberalism’s downsides? Join CCSI, the Institute for the Study of Human Rights, and the Saltzman Institute of War and Peace Studies, for a discussion with three authors on this tension. The Global Engagement Summit allows UN advocates to participate in a day of dynamic and informative discussions on the most pressing issues facing the United Nations. This event unites world leaders with our nation’s top grassroots change-makers. Wagner Professor David Elcott, will discuss insights from a book he is editing with political analyst and theologians in Indonesia, India, Israel, Central Europe and the United States. David will discuss the increased linkage of populism, nationalism and the use of religious identity to fuel anti-democratic values and policies across the globe. He will present findings on how a call to tribalism, xenophobia and anger are gaining strength and how religion is the propellant. What makes a humanitarian? Is it an individual’s altruistic motivations to come to the help of distant suffering others or instead simply one’s contractual status as the employee of a humanitarian organization? This talk explores the relationship between the institution and the individual in the crafting of professional minds and bodies, and practices that foster exclusion and discrimination that are integral to processes of professionalization. Dr. Monique J. Beerli is currently a visiting postdoctoral fellow at the New School for Social Research, where she is conducting a new project funded by the Swiss National Science Foundation on the professionalization of ICRC delegates. 28 February, 3 – 4:30 p.m. 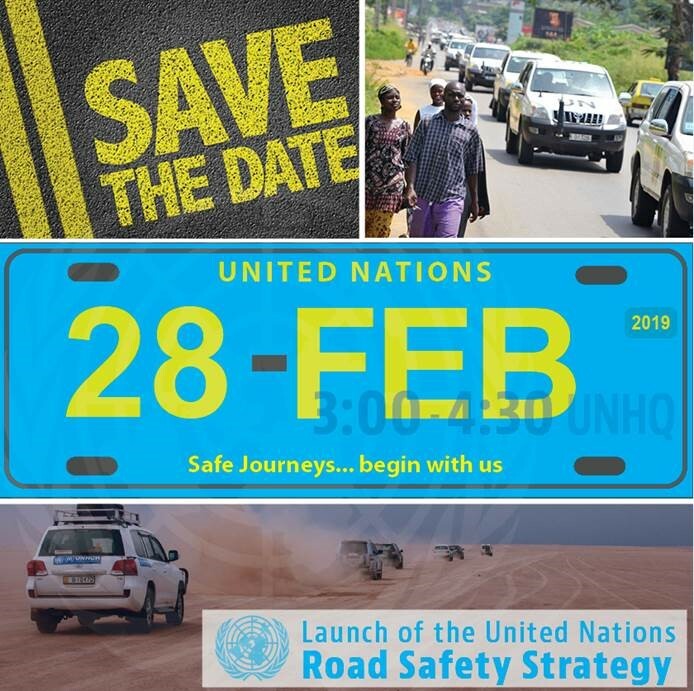 The newly adopted UN internal Strategy on Road Safety marks the first commitment from all UN system organizations to a holistic approach to reduce road traffic crashes involving UN personnel and vehicles. School lunches in Germany are changing. From traditional meat-heavy meals, students are being served a more expansive selection of vegetarian options. The idea is simple: getting kids eat healthier and more sustainable meals while reducing carbon footprints of the schools’ food services. Learn more on SDG Media Compact. Do you dare to invent the future? Apply!